Meghan brought home a new project from school yesterday. 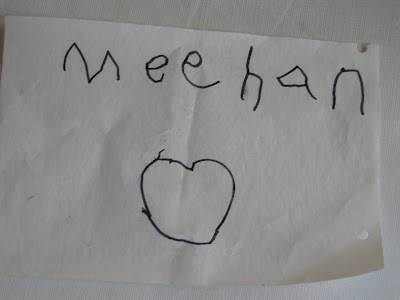 Which is very much an improvement over her previous attempts to write her name. Progress. Woo hoo! Finished a Book: "Shutter Island"
How much fun can we jam in before nap time? So much to do, not sure where to start.